Fishing is a favorite pastime for many in Bella Vista. 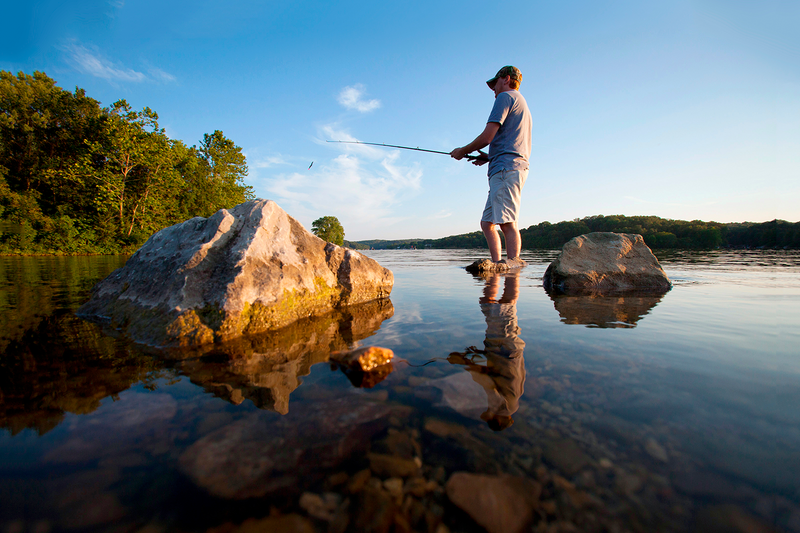 From the novice to the experienced angler, fishing on our scenic lakes has proven to be a prized experience for many of our lakes’ visitors. Come on out and throw a line in. NOTE: The use of any personal watercraft, houseboats and float planes is prohibited on all Bella Vista lakes. A recommended speed limit of 35 mph applies to lakes Ann, Windsor and Lomond. For more information about the lakes, call the Lakes & Fisheries Office at (479) 855-5067 or (479) 855-5068. To fish on Bella Vista lakes, property owners must have a current POA Photo ID Card or pay the guest Lake Use Fee. Guests not accompanied by a member with POA Photo ID Card, must have a valid Guest Card and Lake Use Permit in their possession. Anyone, 16 or older, fishing on any lake in Bella Vista must have, in their possession, a current Arkansas fishing license. All Bella Vista lakes have a slot limit for bass. 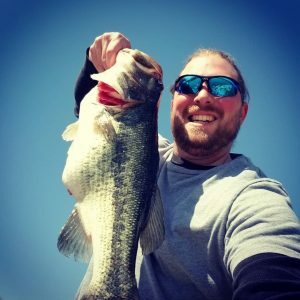 Any bass 13 to 16 inches should be returned to the lake. A daily limit of 15 crappie, 10 inches in length is in effect on all Bella Vista lakes. On lakes Ann, Avalon, Norwood, and Windsor, the limit for saugeye/walleye is 2 per day greater than 20 inches. This is to assure that walleye attain a size where they can be artificially spawned before harvest. Additionally, a 5 trout limit in effect on Lake Brittany. These harvest guidelines have been recommended by the Bella Vista fisheries staff. Jug fishing (free-floating fishing device) is limited to the hours of darkness only. All jugs, limb lines, mechanical devices (yo-yo’s) and trotlines shall prominently display owner’s name and address, current driver’s license number or current vehicle tag number. In addition, the Bella Vista POA requires the above devices to display property subdivision-block-lot numbers. Fishing Tournaments and other events, such as mini-triathlons, must be scheduled with the Lakes & Fisheries Office. An annual tournament/event schedule is established each year in January or February. However, additions can be made later if the schedule allows. Tournaments and events will follow guidelines set forth by the Lakes Joint Advisory Committee. Scheduling priority will be given to Bella Vista’s longest established clubs. A fishing tournament is identified as one, wherein a number of anglers are gathered at a predetermined time and place, on specified Bella Vista lakes, with permits obtained, prizes awarded and/or fees collected. 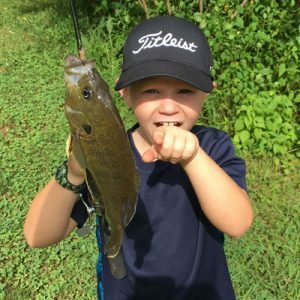 A fishing club is identified as a group of fishermen, competing in fishing tournaments, having a minimum of three tournaments per year, and registered with the Lakes & Fisheries Office. Tournament fishing clubs participating on Bella Vista lakes shall be limited to no more than ten (10) clubs. For tournaments utilizing motorized boats, tournament fishing lakes within Bella Vista are identified as Loch Lomond, Lake Windsor, and Lake Ann. The maximum number of boats participating for any given fishing tournament shall be (16) for Loch Lomond, (16) for Lake Windsor, and (10) for Lake Ann. For tournaments utilizing manual propulsion, all lakes are open to tournament angling. Tournaments utilizing motorized boats have precedence over manual propulsion on Loch Lomond, Lake Windsor, or Lake Ann. The maximum number of manual propulsion tournament boats for any given fishing tournament shall be (30) for Loch Lomond, (25) for Lake Windsor, (20) for Lake Ann, (15) for Lake Avalon, and (12) each for Lakes Brittany, Norwood, and Rayburn. No more than six (6) tournaments per lake by an organization per year are permitted. Further, no more than one (1) tournament will be held on any given lake per week. Tournament Fishing from June 15 to September 15 shall be restricted to the hours from 7:00 p.m. to 7:00 a.m. for events that have an end of tournament weigh-in. Tournaments that practice catch-measure-release have no restrictions as to time of day. All fishing boats participating in a tournament shall be registered with the POA and subject to inspection by POA authorized personnel. For tournaments with an end of event weigh-in, each boat must contain sufficient live well capacity to maintain healthy fish, prior to release, at the close of the tournament. No more than five (5) fish per boat may be in the live well at any time. 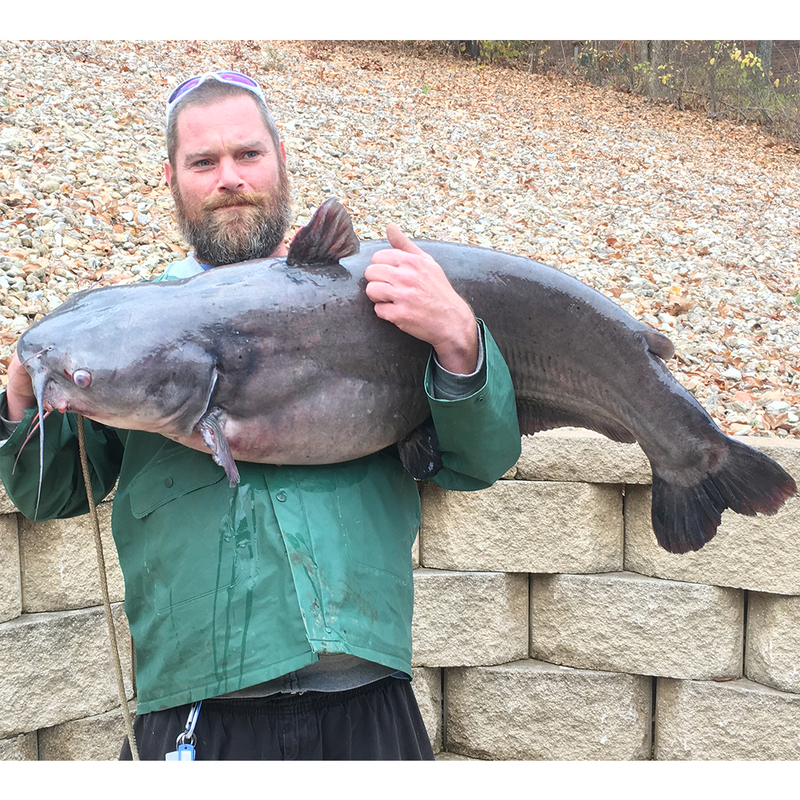 Weigh-in procedures shall be directed toward keeping the fish from each boat in a circulating live well until called for weighing, and then immediately returned to the lake. Anglers will be given a number which corresponds to the weigh-in order. No more than 2 teams are allowed to be in line at any one time. Teams with leaky weigh in bags may be disqualified at the discretion of the tournament organizer, POA fisheries biologist, or lake ranger. Fish must be released in depths of over 15 feet during the months of July and August. Transporting of fish from one lake to another, is prohibited on Bella Vista Lakes. Safety measures for all boats shall include safe intervals in starting time from the no-wake zone, wearing of life preservers when underway, observing safe speed on the lakes, kill switches must be used when underway, and running lights during night fishing. Safe boating practices should always be in effect. A tournament fishing result form provided by the Lakes & Fisheries Office must be completed and returned to the Lake Office at the close of the tournament. April 13, 2019 Nightengale Casters Windsor/Dam 7 a.m. – 2 p.m.
April 13, 2019 Jason Adams Kayak All but Loch Lomond 6:15 a.m. – 2:15 p.m.
April 20, 2019 MAC Windsor/Dam 7 a.m. – 2 p.m.
April 20, 2019 Nightingale Strikers Loch Lomond/Granton 7 a.m. – 2 p.m.
April 23, 2019 Jeremy Thomas Windsor/Dam 7 p.m. – 11 p.m.
May 7, 2019 Jeremy Thomas Windsor/Dam 7 p.m. – 11 p.m.
May 11, 2019 Nightengale Casters Lomond/Granton 7 a.m. – 2 p.m.
May 18, 2019 Jason Adams Kayak All but Loch Lomond 6 a.m. – 2 p.m.
May 25, 2019 MAC Loch Lomond/Granton 7 a.m. – 2 p.m.
May 25, 2019 Nightengale Strikers Windsor/Dam 7 a.m. – 2 p.m.
May 28, 2019 Jeremy Thomas Loch Lomond/Granton 7 p.m. – 11 p.m.
June 1, 2019 Nightengale Casters Windsor/Dam 7 p.m. – 2 a.m.
June 8, 2019 Bella Vista Bass Association Windsor/Dam 7 a.m. – 1 p.m.
June 15, 2019 Nightengale Strikers Loch Lomond/Granton 7 a.m. – 2 p.m.
June 18, 2019 Jeremy Thomas Windsor/Dam 7 p.m. – 1 p.m.
June 22, 2019 MAC Ann/Ramp 7 a.m. – 2 p.m.
June 25, 2019 Jeremy Thomas Loch Lomond/Granton 7 p.m. – 11 p.m.
June 29, 2019 Jason Adams Kayak All/All 4 p.m. – 12 a.m.
July 9, 2019 Jeremy Thomas Windsor/Dam 7 p.m. – 11 p.m.
July 13, 2019 Bella Vista Bass Association Loch Lomond/Granton 7 a.m. – 1 p.m.